Sonora stood facing the vast, rolling ocean, her feet deep in the sandy beach and long hair sweeping her back and arms as it blew in the gentle wind. She raised a hand to shield her eyes from the brightness of the sun, following each wave as it pushed onto the shore, then pulled back away again as if teasing her. She forced her mind to happier thoughts, chasing away the unfortunate events of the day. A smile came to her lips as she inhaled the ocean air. Sonora was glad to get away from the clash of dishes at the busy cafe and spend some time near the water, even if she couldn&apos;t explore the way she would like. As usual, her optimistic nature was quick to come to the fore. A smile had been her most common expression since the day she was born. So much so, that by the time she was two-years-old her mother had nicknamed her Sunny, and it had stuck. Pulling her feet from the sand that covered them, she took a few steps forward and dipped her toes in a warm little pool left behind by the outgoing tide. 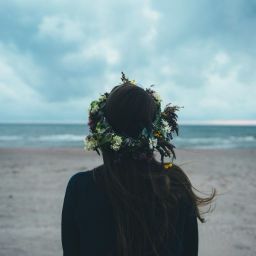 Standing on one foot, she swirled her other in the water for a moment before returning her gaze to the ocean wave as it gently whorled onto the shore. The water is so calm today. Sonora tipped her face up to the heat of the sun, allowing it to wash over and warm her, thankful for the good things of the day. This was her favorite place, where she went to breathe out the stress of the day and inhale the calmness and serenity that permeated this ancient place. She imagined generations of people coming here for thousands of years for the same reason she did. Something about that felt right. Her eyes roamed to her right, from the edge of the shore up to where Spire Cliff towered over the light-colored beach. At the top of its rocky height, she could see a few sightseers taking their leave and walking the short trail back to the parking lot. At 500 feet tall, Spire Cliff was a relic, the last holdout of solid stone on this sandy oceanfront. At odds with the gentle nature of the low country around it, the cliff was beautifully defiant, standing tall where it should not be. The south and west sides sloped sharply, but a moderately adventurous person would be able to climb the seagrass covered banks. The east and north side, however, offered an entirely different view. Two sheer rock faces, the east rising straight from the ocean that battered it day and night, while the final wall sat beside the seemingly endless beach that ran northward. The red color more reminiscent of the ruddy Georgia clay than the tawny sand around it. So mismatched was Spire Cliff from the surroundings that it had once been a tourist attraction which drew people from several states away. Now though, it was more often than not labeled a landmark rather than an attraction. Still, most people stopped and stared in surprise, if not actual fascination, of its wild beauty. "Did you hear what happened here yesterday?" said a voice uncomfortably close to her shoulder. Lost in her own thoughts, Sonora startled, gave a small yelp and almost tripped over a little pile of sand. "No," she said turning toward the dark-haired woman while trying to take a small inconspicuous step backward, "What happened?" "Some guy jumped off that cliff, just jumped right off into the water. I heard he did some fancy dive and everything," the woman said. She told the story as if she were gossiping about a naughty neighbor. "What? Why would he do that?" Sonora asked, unable to believe someone would attempt such a feat. "Well," the woman said, holding Sonora in suspense for a moment, then lowered her voice. "Some other guys were shooting at him, is what I heard. Not cops though, so ya gotta wonder what&apos;s up with that. But some people swear they saw him swimming off, so maybe he made it." The woman shrugged her shoulders but seemed somewhat hopeful that he had survived. "But how...?" Sonora muttered as she turned and lifted her eyes back up to the top of the 500-foot cliff. She shivered as she remembered holding onto the railing and leaning out over the edge on a dare It would take an extraordinary man even think of attempting a jump, it had never been done before. But the dark-haired woman was on to other concerns. "Why random people can go around shooting guns at a perfectly peaceful beach is what I want to know! Since when is that a thing? If the guy is a criminal, police should have been involved, and if he isn&apos;t, well then, who were the people shooting? That&apos;s what I want to know," the woman repeated. Sonora turned back to the woman to voice her agreement. When she didn&apos;t see her, she looked to the right and left only to find the woman had gone as abruptly as she had come. Sonora giggled to herself. She&apos;s likely off to spring the news on another unsuspecting beachgoer. Though I&apos;m thinking I moved from beachgoer to beach bum long ago. She thought about all the times her mother had teased her that she loved the ocean entirely too much for someone named after the desert, and it may be true. While her entire family had always taken every opportunity to spend time at the beach, Sonora outdid them all. It was what lead to her dream to become a marine biologist. From the time she was small, Sonora had plied her aunt, a marine biologist who worked at the local Marine Center and Museum, with questions. She&apos;d followed her around whenever she had visited, her mind churning out inquiries until Aunt Claire would take her little face in her hands, gently squeeze her cheeks and plead for her to stop. 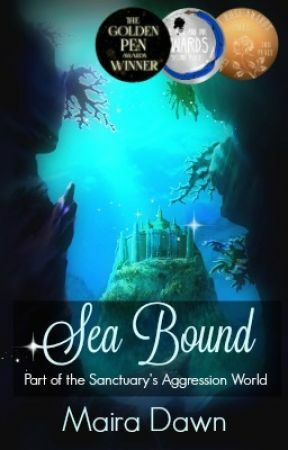 When Sonora started driving, she spent long after-school hours either at the sea or the local Ocean Museum, in spite of her friend&apos;s pleas for her to join them at parties, then making fun of her when she didn&apos;t.
Then when the time came for college, everything had gone awry, even Aunt Claire&apos;s connections hadn&apos;t been of any help. Too much money, too little resources. Well, I refused to feel sorry for myself. Thousands of others that don&apos;t have the money to go to college either, I&apos;m not the only one. Determined not to let sad thoughts mar this beautiful day, she reassured herself that she would continue to save up for college, no matter how long it took on a meager waitress salary. Until then, I will just have to be content with my snorkeling. At least it&apos;s free and always an adventure. She stepped into the water wondering what surprises the ocean held for her today.